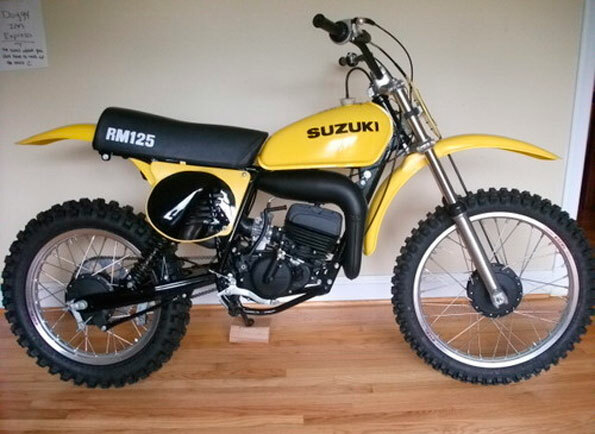 1976 SUZUKI RM 125 A RESTORED TO NEW CONDITION . CORE BIKE WAS VERY LOW HR BUT DECIDED TO RESTORE IT ANYWAY .HERE’S A LIST OF DETAILS REGARDING THE RESTORATION . ENGINE REBUILD INCLUDES CRANK AND BEARINGS ALL( OEM )Suzuki CYLINDER BORED TO SECOND.050 OVERSIZE WITH (OEM) Suzuki PISTON AND RINGS . TRANSMISSION ,SHIFTING MECHANISM ,KICK STARTER COMPONENTS ALL WELL WITH IN SPECS . ENGINE REASSEMBLED WITH ALL SUZUKI (OEM)Suzuki SEALS AND GASKETS . SUSPENSION NEW PROGRESSIVE REAR SHOCKS ,FRONT FORKS DISASSEMBLED INSPECTED NEW SEALS AND DUST COVERS . WHEELS EXCEL RIMS WITH BUCHANAN SPOKES NEW BRAKE SHOES AND WHEEL BEARINGS. TIRES ARE CORRECT IRC VINTAGE KNOBBY PATTERN . NEW (OEM) Suzuki REAR SPROCKET CORRECT 8 HOLE 428 ,AND DID CHAIN . ALL OEM HARDWARE ZINKPLATED TO ORIGINAL LOOK . SEAT COVER/FOAM VINTAGE SUZUKI . FEEL FREE TO ASK ANY QUESTIONS . 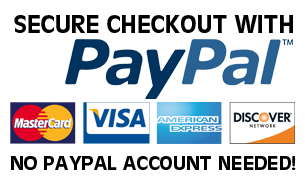 Buyer is responsible for shipping.I will be more than glad to help with shipping arrangements and crating ect……. Bill of sale only. Motocross bike – no title.